It’s Education on Topics. Tasks? Maybe Micro. 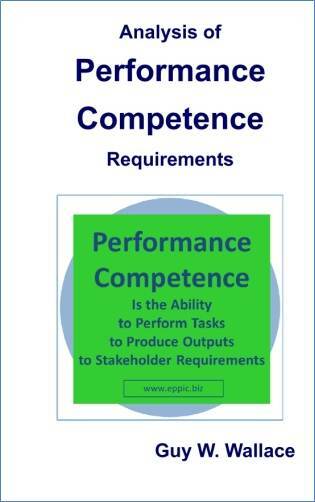 But it isn’t Training – as it hasn’t/ doesn’t enable Performance to Requirements. Again – In My Experience. 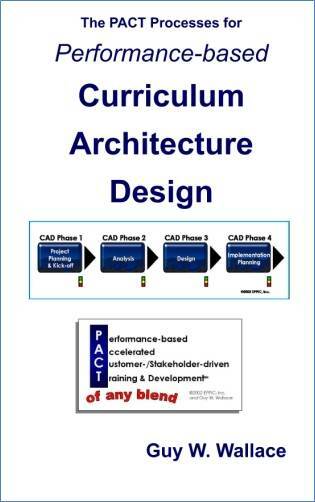 In the 75 Curriculum Architecture Design (CAD) efforts that I’ve conducted since 1982, and in the 50+ Modular Curriculum Development efforts (my ADDIE-like methods) I’ve found that most Learning Content/ Training Content was about Topics. Sometimes Tasks – but mostly Topics. The last of my 4 types of formal Analysis is an Assessment of existing Content for ReUse in a new Path or Paths through the current Inventory and potential future Inventory of Content – and various levels of formal Instruction and Information. What have I found? Topic after Topic … with no or weak links to any kind of a Process Model as a Scaffold to hang each Topic on, to place the Topic in a mental model of overall Task performance. Even if Tasks were covered they were what I would call Micro-Tasks, and they too were not placed in some bigger picture. Some model/scaffold of the Macro Performance. 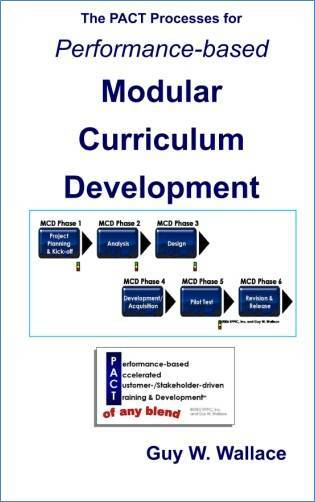 This model/framework was presented early in the Introduction – and thus set the stage for all learning content that followed, including the process details. 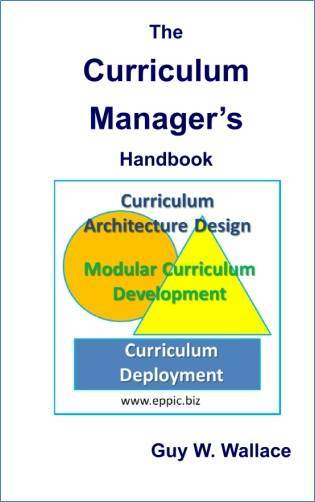 the internal organization, the union, the current agreement based on current law and the current contract, and then the process tools and techniques. It was a big poster on the wall plus the binder insert cover … it was, after all, 1991. These graphics above were from the Analysis (the top graphic) and Design Documents (both graphics) from this 1991 effort. Again, the ETA is my 4th and last type of formal Analysis conducted during the Analysis Phase – as in reality analysis occurs in all phases of my 6 Phase effort. Clients often wanted me to start with thewir existying content – which I would gently push back on by stating that I wouldn;t know what I was looking for in that content until I had minimally done the analysis on Performance – and – the Enabling K/Ss. They almost always saw that logic. They, of course, were worried that we’d throw the proverbial baby out with the bathwater. This wasn’t their first rodeo. My bias has always been – if it looks close enough – use it – and then evaluate that decision with during the Pilot Test and the evaluations of ongoing Deployments. Prove it out versus prove it in (initially). I use a form to document the assessment – which feeds a database. The following is the 2002 version of said form. Check the final assessment in the bottom row of side 1 of 2. That assessment of the ReUse potential is: “As Is” (AI), or as source “After Modification” (AM), or do not use as it is deemed Not Appropriate (NA). Given the Performance data and the enabling K/Ss data. 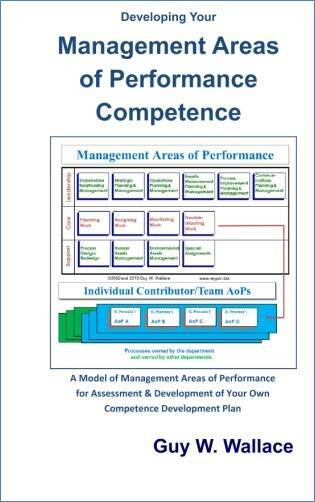 If you don’t know the Outputs and their Measures and the Tasks and their Measures – plus the enabling Knowledge/Skills related to those Outputs and Tasks – you are likely to miss The Mark. The Mark of Stakeholder Requirements – for both Outputs and Process Tasks. – and that brought to mind my prior reactions to other similar studies, articles and posts. It may be called Training – but it is not. Or it is just poor Training. Which just seems all too prevalent. In my experience. It might have been better labeled Education – where we often don’t know the terminal application exactly of the learner/Performer. Topics one might need to know. Tasks that one might need to know. Might need – because we were unsure of the terminal performance objective and process specifics. But then – that’s not Training. But maybe they did need Active Listening. Sounds logical, doesn’t it? I’ve written before about my experience where the ETA process in a CAD effort uncovered 28 versions of Active Listening that one client had in their inventory. Talk about Opportunity Rich – or Overload in the extreme. And … they all were two hour modules. All were generic, canned programs not built for the type of Active listening needed and then reflected in the authentic INFOs, DEMOs and APPOs (Application Exercises). Kinda like taking Training for somebody else’s job. And that’s what my experience in ETA – Existing T&D Assessments has taught me. You can call in Training – even Performance Based Training. Look at the titles of your Learning Content. Are they more Topic sounding than Task sounding? Are INFOs, DEMOs and APPOs (Application Exercises) authentic enough? The slide was from this 1981 presentation at MTEC – Motorola’s Training & Education Center. The video is 45 minutes in length. Well worth the watch IMO. Unless your Content – T&D, Learning or Knowledge Management – is authentic enough – it won’t likely transfer. And won’t have the impact – or ROI – that it might have. 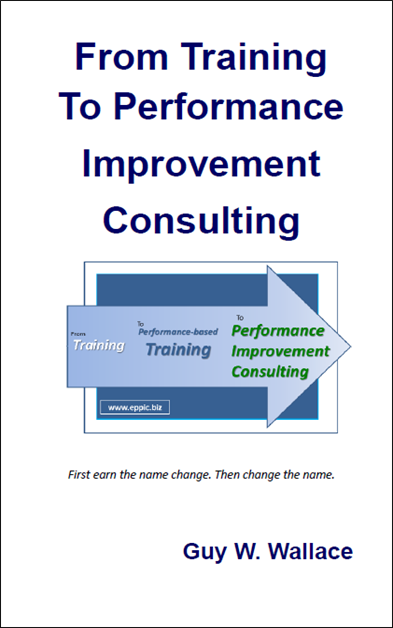 If you are not going for Measured Results – the question becomes – why bother? Purchase through Amazon’s CreateSpace online E-store or Amazon.com for the Kindle versions.